Brewery: 8 Wired Brewing Co. Intro: A 500ml bottle with no clear bottled on or best before date other than 2016 vintage. Poured into a Lost Abbey teku glass. 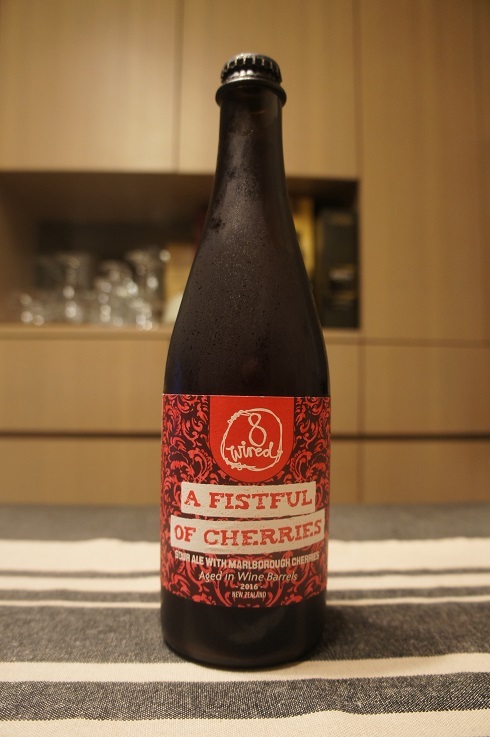 Appearance: A lightly hazy ruby red colour with a one and a half finger off white head that dissipated fairly quickly and left only sparse lacing. Near the end, the pour becomes a cloudy purple-reddish colour. Aroma: Tangy, cherry and lemon with light citrus zest, oak, leathery brett and funk. Taste: Tart, lightly sour, cherry, oak, barnyard, funk and brett. Mouthfeel: Crisp, medium to light bodied with moderate to high carbonation. 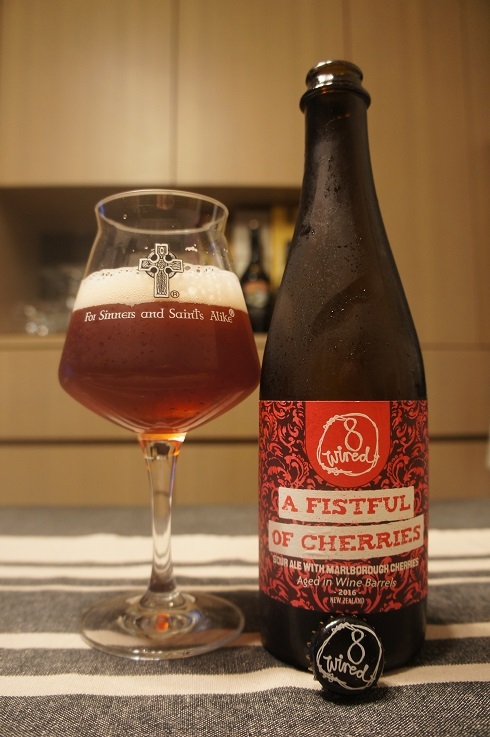 Overall: A solid sour that is enjoyable and very drinkable.